Laser therapy has been adopted as an essential pain management tool by athletic trainers in the NFL, MLB, NBA, NHL, FIFA and Olympic teams. 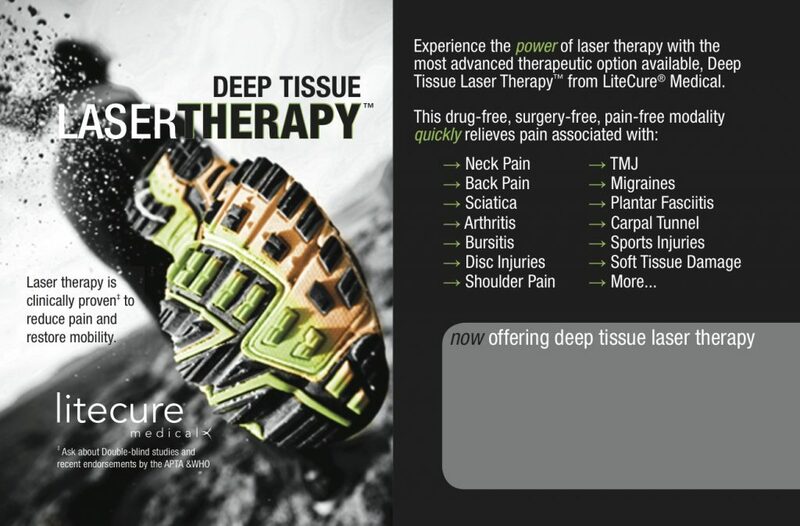 LiteCure Medical is the preferred laser therapy manufacturer of professional trainers because we deliver consistent results. Elite athletes consistently rejoin the team faster when this energizing treatment is part of the treatment plan. Come to our clinic and get information on our new laser and see how it can help you! First 3 people to come get a FREE demo.